I have been back in Germany for some time now, and after well over five years abroad, there have been a couple of things that I had to re-adjust to. One of them has been that Germans really, really like the English language, especially when it's about marketing and advertising and product names. It's not always necessary for those words to really be English words - as long as they look it, the assumption is that customers will just accept the modern and innovative aura that English is supposed to lend to the product. And the hope also seems to be that English will create some kind of semantic distance between the word and its actual meaning (because it's not perceived as unusual to use a foreign name for something you're trying to sell) so there is much less of a need to really have any meaning behind your text. In many cases, this happens when someone is too lazy to think of an interesting way of saying something dull - hey, an English word will make it sound like so much more than it really is! An example: You have a big German chain of supermarkets and decide you want to introduce some pricier products in addition to the cheaper food you already sell under your supermarket's brand name. And one of those luxury foods is French cheese. You sit down and think about how to make your customers understand at a glance that this product is worth the higher price. What do you do? 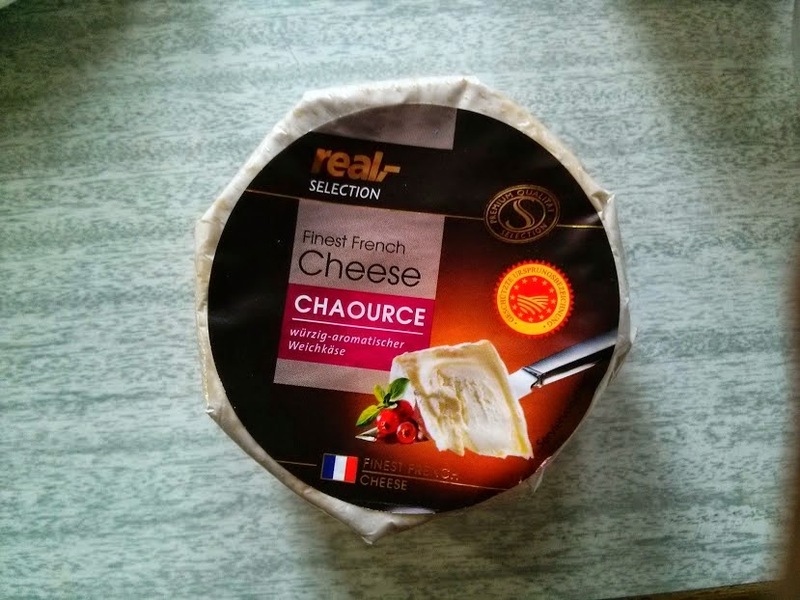 Exactly: You take the French cheese, which has been produced in France and packaged for sale in your German supermarket, and inexplicably write "Finest French Cheese" on it. In English. Twice. You still write the actual product description in German, just to be sure people know what they will find inside. You probably fear that not enough customers will read French well enough, so English is a perfect compromise to take your product way beyond plain Käse. And, continuing to explain my point in supermarket logic: What if you have a product that everybody wants, yet nobody likes to truly think about? 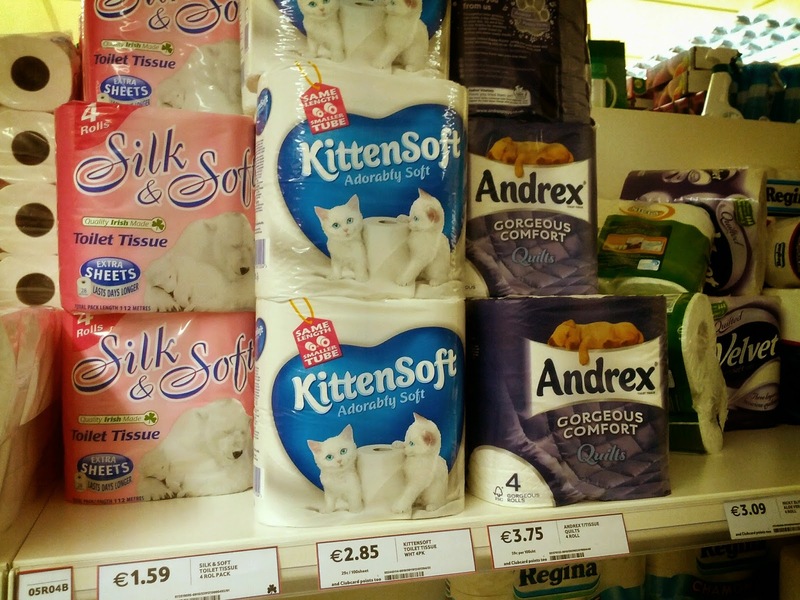 Like toilet paper? In Ireland, I was quite fascinated to see that apparently, Irish people like to imagine cleaning themselves with soft, furry animals. You even have a choice of polar bears, kittens and puppies - even though I must say I question the wisdom of rubbing my behind against a polar bear, even while he appears to be asleep. Kittens also have a lot of pointy ends. But fluffy things are definitely nicer to think about than digestive products. 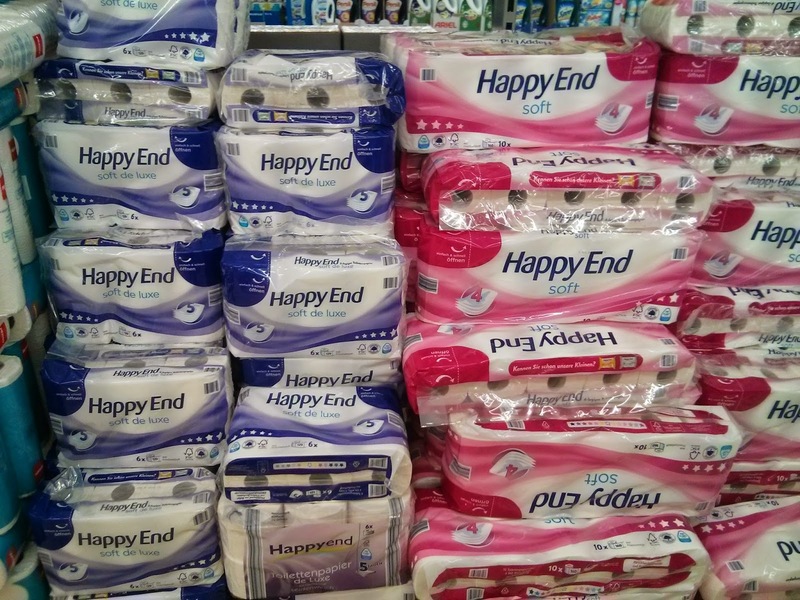 I would really like to know how the meeting went when this product name was agreed on. "What do you usually associate with a visit to the toilet? A beautiful meal reaching its happy ending? Yes, sums up our product perfectly!"